This book is vital for health service managers and clinicians, in both purchaser and provider organizations, in community and hospital settings. It helps the reader understand the principles and purposes of casemix and provides practical examples of using casemix groupings to manage services better. Its lessons are not just for acute services, but provide a way of understanding the complete spectrum of services required for a wide range of conditions, from individuals at risk to those with irreversible and progressive disease. 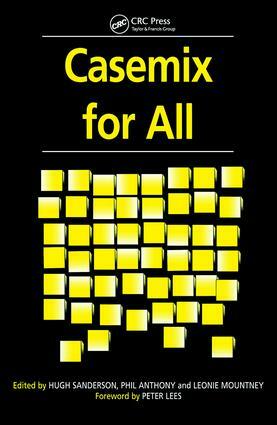 The book explains why casemix groups are useful and the reasons for grouping and analysing patient records. It focuses on the difference between groupings of patients with conditions, and groupings of intervention episodes. Using both enables better identification of the services required to meet the needs of the population, and better communication between purchasers and providers. It has potential for managing the whole healthcare system from a population based perspective.